Real estate auctions have long been an effective way for investors to get a good deal on property. Nowadays, however, this way of acquiring real estate is not only popular among deep-pocketed business people but also among ordinary people searching for a new home at a bargain price. Live auctions, which historically took place at local courthouses and other locations chosen by auctioneers, are actively migrating online. New real estate auction solutions help both investors and ordinary homebuyers quickly and painlessly find attractive foreclosed, bank-owned, and short-sale properties and bid on them. Take Auction.com (a Ten-X company), for example. Auction.com is a US-based auction marketplace that focuses solely on foreclosed and bank-owned properties. To date, this platform boasts $39 billion in sales, 4.4 million registered buyers, and 329,000 properties sold. 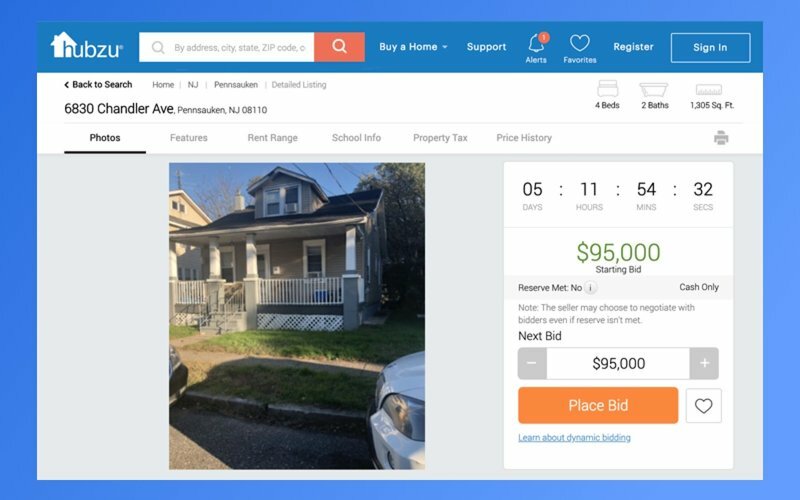 Despite the arrival of such fine players as Auction.com, Foreclosure.com, Hubzu, AuctionFox, and RealtyBid.com, there's still a lot of room in the online auction space. 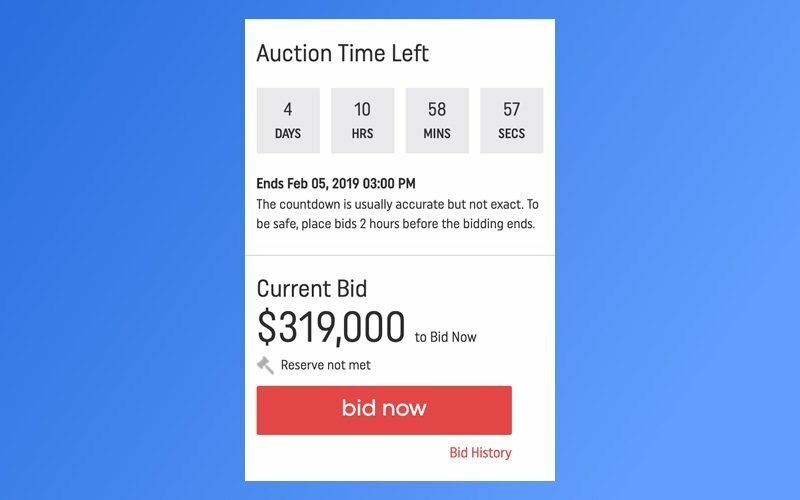 In this article, we talk about how to create an auction website or mobile app as a standalone solution and how to add auction functionality to your existing real estate platform. 1) Short-sale properties. In real estate, a short sale is a property sale initiated by a homeowner (usually a distressed borrower) in an attempt to sell their house for less than the outstanding mortgage on it. This move is usually required for a borrower to pay their debt to a lender. Unlike other types of sales, a short sale can benefit both the lender and the borrower: it allows the lender to avoid repossessing property in foreclosure (which is expensive and time-consuming) while making it possible for the borrower to avoid harm to their credit and sometimes even bankruptcy. 2) Foreclosed properties. Unlike a short sale, a foreclosure sale is forced by a lender, who attempts to recover the balance of a loan on their own. A foreclosure, which involves a lender seizing a property, is usually the final step of a lengthy pre-foreclosure process, which is typically aimed at finding alternatives for both the lender and borrower (for example, paying off the outstanding debt or selling the property before it goes into foreclosure) to avoid possible negative consequences associated with this legal process. 3) Bank-owned properties (real estate owned properties). Bank-owned (also called real estate owned, or REO) properties are properties taken into a bank’s ownership after a failed foreclosure sale. These properties are usually easily accessible on banks’ websites (and now on real estate auction platforms) and are sold at discounted prices, making them attractive for real estate investors. 4) Flipped properties. Even though most homes sold via online auctions are distressed sales, not all real estate that’s up to auction fits this category. Flipped properties, for example, are investor-owned homes that have been fixed up and prepared for sale. These remodeled and upgraded properties are especially popular among first-time home buyers. 5) Retail properties. Yet another type of non-distressed sales, retail properties are usually used for stores, shopping centers, and service businesses. This type of property is popular among business owners and investors seeking to expand their portfolios as well as among new investors in commercial real estate who want to acquire a portfolio. Who’s going to sell and buy properties on your real estate auction platform? Just like an ordinary real estate platform, an auction platform brings together users who want to sell properties and those who want to buy them. Buyers and sellers on a property auction platform, however, differ slightly from buyers and sellers who interact on an ordinary e-commerce platform for real estate. Before we start digging deeper into real estate auction platform functionality and technical details, let’s first find out the main user roles on a property auction platform to get a better understanding of which types of users your platform will need to attract. Sellers are homeowners, real estate agents acting on behalf of homeowners, investors selling real estate for profit, and asset managers charged with selling REO. Professional online real estate auctions allow only licensed real estate specialists to list properties. Buyers are people who are interested in purchasing cheap houses for their own use or brokers and agents who may represent such buyers, as well as serial real estate investors or their teams hunting for cheap properties. You as the marketplace operator are responsible for handling transactions and consulting users on tricky matters. What features power an effective real estate auction platform? Your real estate auction platform should help buyers and sellers easily meet each other and then ensure smooth interactions between them, which should typically result in closing a deal. Buyers, for example, need a smooth bidding experience. Additionally, they have to be sure that all their actions on the auction platform and beyond it are safe and secure. When it comes to sellers, your auction platform should be equipped with powerful functionality to facilitate their work and help them sell more effectively. For example, Xome and AuctionFox encourage real estate agents who sell property to join their network by providing powerful functionality for selling and analyzing results. 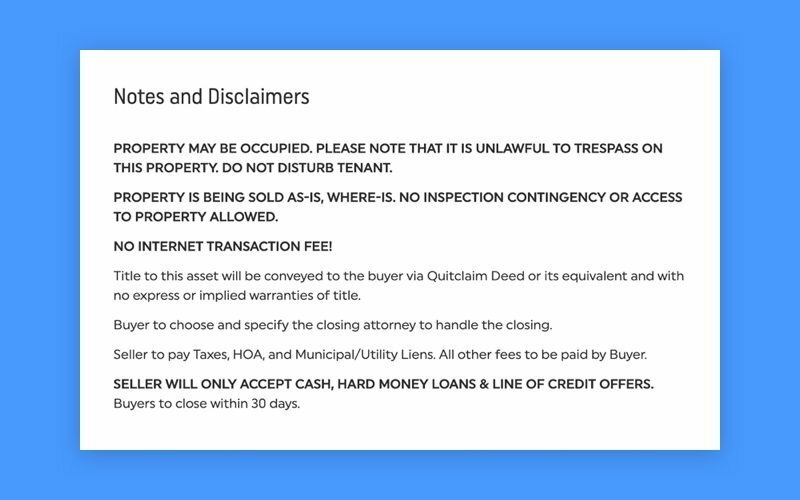 Having carefully explored all real estate auction services on the market step-by-step, we’ve compiled a list of features that are obligatory for a successful auction platform. Virtual auctions require that all users create personal accounts. This is necessary for identifying users and enabling smooth cooperation on your platform. Obviously, during the sign-up process, users have to provide their personal information and contact details such as name, street address, zip code, phone number, links to social networks, and email address. And they should be able to change this information if needed. Providing an email is necessary since users will receive important updates and verification of their actions on the platform – for example, notice of winning an auction. For investors, agents, and asset managers, you’ll also need to collect information such as title, company name, real estate license number, and real estate license state. To participate in an auction, buyers also have to provide their credit or debit card information for all payments associated with platform services, so consider integrating a payment gateway into your app. Add a property to the platform. This generally involves creating a new property listing by clicking Add a property. Some real estate auctions charge agents to place listings. For example, RealtyBid charges sellers $150 per property. This payment is non-refundable and is paid by bank card as soon as the agent lists the real estate. Select a duration for receiving bids. During this period, the property is listed on the auction platform to get bids. This time frame usually includes pre-auction, staging, and post bidding periods. The listing fee is normally fixed and is the same regardless of what duration a seller chooses. Modify a property listing. Sellers can make changes to information about listings if needed. Reoffer the property. In case an auctioneer decides that a bid was won unfairly, they can allow the seller to re-offer it in another round of bidding. Description. It shows the number of bedrooms, bathrooms, square footage, etc. Photos. We’ve already described the importance of quality images for online businesses in How to Build a Real Estate Web Platform: Core Features and Add-Ons. If you’re interested in the requirements for photos, we recommend reading that article. 3D tours. This is another way to enable users to view properties, as 3D technology allows homebuyers to get a deeper understanding of the layout, size, and interior design of a home without stepping inside the front door. Hundreds of potential bidders will be able to view the same house whenever they want, as virtual tours enable them to examine every inch. Notes and disclaimers. It describes the legal rights and obligations related to a specific property, such as whether it’s occupied, conditions for payment, etc. Current or starting bid. The bid amount for an auction that is already in progress is called the current bid. The starting bid (also called the opening bid) is the lowest acceptable bid for an auction that hasn’t started yet. Auction timer. It shows the date of an auction or the time left before an auction ends. Make sure to also provide buyers with some other essentials such as bid history, a list of associated fees, customer service contacts, property disclosures, and so on. Filters. A user should be able to apply advanced search filters to focus on properties that match their specific needs. Finding these filters should be easy; they should display every time a user clicks in the main search field. Alternatively, a user may click an advanced search link. A real estate auction should allow users to filter properties by location, price range, asset type (bank-owned, foreclosed, short sale), and other criteria. Auction dates, property size, popular properties, and newly added properties. Saved searches. A user should be able to save properties they like to favorites as well as save their search parameters. In addition, recently viewed searches can be made available for users. These features will save buyers’ time by letting them quickly and conveniently return to properties they’ve already viewed or added to favorites. All saved searches also can be used by the platform to recommend new listings based on a user’s interests. You should also provide a map so users can enter a location or zoom in to choose an area to search. On most auction platforms, buyers have to place a 5 to 10 percent deposit before bidding on a property, which limits the maximum spent in a virtual auction. This deposit is just a hold on the bidder’s bank card. After the auction, the auctioneer must instruct the bidder’s bank card issuer to remove this hold. Some digital auctions like RealtyBid don’t require any fees for registering or bidding, as they earn money from charging listing agents and winning bidders. Online real estate auctions happen in real time or over a few weeks and start with a minimum price. In these auctions, participants have the opportunity to bid 24 hours a day, seven days a week until a single bidder remains. the number of bids and participating bidders, etc. When a bidder is ready to place a bid, they normally do so from the property’s bid page by clicking a place bid button. Then the bidder logs in. Now, the bidder can place either a starting bid or a maximum bid amount right away. The closing process usually takes 30 to 60 days, and the closing date is stated in the contract. Closing takes place at an authorized agency office, and as soon as it’s completed, ownership of the property is officially transferred to the auction winner. Countdown timer. The bidding countdown clock is typically from two to three minutes. If no one bids by the time the clock runs out, the bidder who made the last bid is awarded the property. If someone bids within the time allotted, the clock resets. Automated bidding process. This feature is designed for assisting during a bidding event when a buyer is away from their computer. You can implement a proxy bidding system, which is software that automatically places a bid on behalf of a bidder up to the maximum amount set. A proxy bidding system allows someone to remain the highest bidder and win an auction even if they can’t place bids at the moment of the auction. Proxy bids remain confidential. BIN (Buy It Now) functionality. Sellers should be able to set a Buy It Now price or the price they would like to sell for on the spot to save time. This helps buyers bypass the bidding process and instantly buy a property at the seller’s desired price. This feature provides information on upcoming real estate auctions. Let users filter auctions by location, asset type, event name, and start/end dates. On Auction.com, users can register for auctions and view uploaded inventory. Receive property notification emails. Let your users sign up to receive notification emails about new properties in their area of interest. These emails may contain outbid notices, high bid confirmations, contract questionnaires, documentation, etc. Create lists of saved properties. Make all saved searches available for buyers and present them in the form of lists for easy access. Manage bids. Allow your buyers to place bids on chosen properties right from their dashboard for greater convenience. See additional information. Provide current statistics on active bids, activity history, and upcoming auctions matching a bidder’s interests. Reports and analytics. Deliver automated reports and analytics to your bidders using presentations and charts for effective analysis. Auction platforms usually charge users a number of fees for the services provided. This is how they generate revenue. Let’s see what these fees are. Buyer’s premium. This fee is paid to a platform for handling the sale and is commonly between 5 to 10 percent of the final purchase price. The minimum buyer’s premium is usually $1,000. Once the buyer’s premium is paid, the full purchase price must be paid by the buyer within 30 to 40 days. If the winning bidder fails to make this payment, the virtual auction house keeps the buyer’s premium and re-auctions the property. Transfer tax. This fee is paid for transferring the title of the property to the auction winner from the seller. Transfer tax is stated in the purchase and sale agreement a buyer obtains before closing. Tax rates vary by state. For example, California charges $1.10 per $1,000 of the sale price. Technology fee. This fee is imposed on all users by an auction platform to pay for use of its services. This fee can be $200 to $500 and is added to the purchase price of houses bought on the platform. Many of your potential bidders will be interested in financing. Let them get financing right through your platform. Hudson & Marshall auction, for example, provides financing by JP Morgan Chase, Wells Fargo, and Civic Private Money Lending Company. Thus, borrowers can pre-qualify for a loan without leaving the website. Additionally, you can team up with some national lending companies providing bridge loans, a type of short-term loan that’s tailored to auctions. These companies ensure a prompt turnaround of funds, which can be agreed in advance, during bidding or on completion of the auction to assure funds will be accessible on time. This then gives time for your buyer to get a mortgage or another long-term funding solution that fits their needs. This is a perfect way to turn your visitors looking to buy residential or commercial property and seeking financing into real buyers by giving them all they need to bid on your platform. Thanks to a mobile auction application, your buyers will be able to bid from anywhere in the world. A mobile app keeps your users abreast of what’s happening. Notifications. With this feature, users can receive alerts informing them about new listings, upcoming auctions, new properties in saved searches, and so on. Location awareness. Allow users to search by their current location, type in a specific address, or draw a custom region on a mobile map. Sharing. This enables your users to share properties via text message and email and on social media. Real-time bidding. This allows users to place their bids and check the bids placed by others in real time. Messaging. An in-app messaging communication system enables users to share properties with friends, family, and agents, even if they aren’t using the app. Users can receive replies right in the app. This is convenient, as users can find and talk about homes they like without even leaving the app. All the steps described below – along with listings from real estate agents, investors, asset managers, builders, and major corporations – will provide an abundance of real estate for your potential bidders. Conclude agreements with national banks and mortgage servicers to ensure listings on your platform at significantly reduced prices. Assert yourself on real estate agent directories such as RedFin, Trulia, Zillow, and Yahoo Real Estate, as they get heavy traffic and getting listed on them will attract users to your platform. Employ various advertising and marketing strategies in addition to the MLS integration strategy usually provided on advanced real estate websites to drum up visitors to your platform. You can check different sources of property listings for your platform in one of our previous articles. To get more loyal users, you need to pay a lot of attention to the security of your platform. Here’s how you can gain the trust of your community and ensure users that your platform is safe. ID verification. The registration form your users have to complete before placing bids should ask for ID and credit card information. If ID verification is questionable, you have a right to reject the registration and terminate bidding activity to prevent fraud. Real-time auction tracking. Allow sellers to watch how buyers place bids in real time. Ratings. Let users leave reviews about each other after completing a purchase. Bidder’s agreements and obligations. Include rules in the bidder’s agreement such as immediate termination of membership in the event of shill bidding to avoid fraud on your platform. Considering the nuances we’ve described in this article, creating a bidding platform requires hard work in addition to strategic thinking and professional knowledge. Keep in mind that outsourced developers can significantly increase the likelihood of auction platform success by providing top-notch online auction software. Our team would be pleased to provide you with full-cycle web application development, native app development, and project support after it’s implemented. Don’t hesitate to get in touch with us to share your vision. We’ll stand by your idea and help you bring it to life.